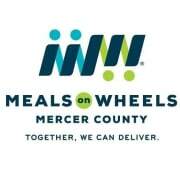 Volunteer one day each week (as a "regular"), or as needed (as a substitute), to deliver meals to homebound individuals in Mercer county. You can serve as either a driver or "runner". Drivers use their personal vehicles to navigate delivery routes (point to point directions are provided), and are accompanied by a "runner" who will bring meals from the car to a client's home or apartment.